Enjoy this full length amazing version of Lindsey Stirling’s Crystalize, as filmed and directed by Louie Schwartzberg. Discover the power of visual healing. Experience the wonder of nature’s balance. Know serenity of heart and mind transformation in the blink of the eye. We’ve recently teamed up with Biographic, a multimedia magazine powered by the California Academy of Sciences, to document Washington States University and Fungi Perfecti by Paul Stamets‘ fight to save the honey bee using fungal extracts. “Wonder and curiosity drive us to explore because we are surrounded by things we can’t see, and that triggers our imagination, inspiring art and science. I love making the invisible visible. Using the art of time lapse and slow motion cinematography, I can stretch the imagination by creating journeys through portals of time, and scale. In this final week of the official Gratitude Lab, we turn our focus to faith and community. How ironic – and how perfect – that another of Louie’s inspirational muses – the underground world of mycelium network – just happens to parallel this sense of connection, wonder, and gratitude. “Mother Trees” is the film trailer we showed to you last year, but seems increasingly relevant and vital to see and share today, so here it is for you. If you know of anyone who feels disconnected, or who might need to be uplifted with some hope and beauty, please share this with them. It might just provide the very comfort they need right now. Dr. Robert Bilder is a remarkable person. Yes, he is remarkable for his resume, which gives one cotton mouth when trying to absorb the depth of his career, but even more remarkable is his dedication to the exceptional health and well-being of young students at UCLA, Louie Schwartzberg’s alma mater and where Dr. Bilder currently serves as Professor-in-Residence. For the last six years, Dr. Bilder and his colleagues at UCLA have been developing a ground-breaking program called the Healthy Campus Initiative. 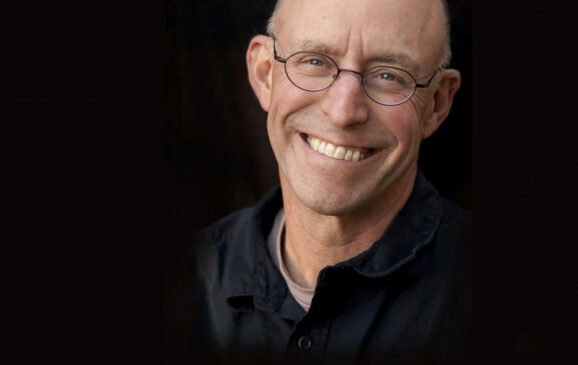 Dr. Bilder leads the Mind Well program within this initiative, to promote well-being, resilience, social connectedness, and creative achievement among UCLA’s students, staff, and faculty. Other campuses around the globe are following UCLA’s lead, and Gratitude Revealed sat down with Dr. Bilder to ask him to share his experiences with helping young men and women address their struggles with isolation, connection and stress. On Thursday, December 15, 2016 the lights went down within the Guggenheim Museum in New York City. What followed was a miracle of sorts. In the darkness, light was suddenly projected upon the structure’s iconic spiral rotunda – 5 stories high – and the central gallery floor filled with healthcare CEO’s from around the globe fell awe-struck and mesmerized by nature’s beauty, filmed by Louie Schwartzberg. For some, this was an epiphany – the first time they had witnessed visual healing in action. We’ve captured the event as Louie’s New Year’s gift to you in this video below. Find a quiet place to rest for 5 minutes and let it reveal itself to you. See if you are not filled with hope, resilience and gratitude. HeartMath is committed to helping activate the heart of humanity. They suggest that by creating an alignment and connection between our mind and heart, and with each other’s hearts, we awaken the higher mental, emotional and spiritual capacities that are dormant within us. Compassion, Resonance and Transformation are the core values that underlie their business. Heather Hayward is a Licensed HeartMath Trainer who leads workshops and works in private practice helping people learn the techniques and technology from the Institute of HeartMath. For over thirty years, Hayward has dedicated her career to the field of personal well-being. 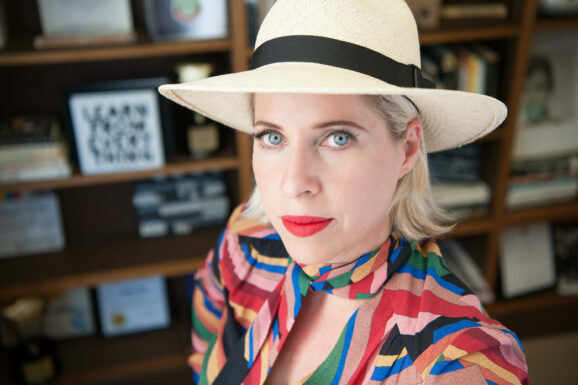 As a Results Coach, Clinical Hypnotherapist, Meditation Teacher, author and speaker, she successfully works with a diverse client population in one-on-one and group settings connecting them to their heart, producing sustainable change through Comfort, Humor and Inspiration (C.H.I.). Specializing in creating custom written guided meditations for actors to business owners, writers to lawyers, youth to mature clients, and everything in between, these recordings support them to quickly self-correct, reduce negative self-talk and stay committed to their positive changes. Ashley Weber teaches high school French. Every Thursday, she asks the students to dedicate the first 10 minutes to writing a thank you note. And, you might be shocked to learn… they LOVE IT. Because of Thank You Thursday, there are currently over 1600 messages of thanks out in the world. At that, Madame Weber can only stand back and say merci. When Gratitude Revealed came across this video, we were so moved and inspired, we had to find out more about how this extraordinary teen transformation occurred. Enjoy the video and then read the interview that follows below. August 21st marked the end of the 2016 Summer Olympic Games in Rio de Janeiro. World-class athletes from all corners of the globe have returned home, some with medals marking their incredible accomplishments. As those games come to a close, however, a new set of games is just on the horizon: the Compassion Games. No plane tickets or passports required. Jon Ramer, the founder of Compassion Games International (CGI), reached out to Moving Art in support of this year’s Global Unity Games, one of five annual Games that CGI hosts each year. The Global Unity Games will begin on September 11th and run through September 21st of this year. The Compassion Games are the world’s largest compassion “coopetitions.” No one can lose the Compassion Games; and the more people that play, the more people that win. The goal is to inspire as much compassionate action in communities around the world as possible, through volunteering, random acts of compassion, and more. Want to learn more? We asked Jon some questions about the origin of the games, how to participate, and what makes compassion such an important notion to share. Sometimes reaching out across the world wide web can lead to amazing things – as they did when Mrs. Fenn, an elementary school teacher at Ridpath Public School in Ontario, Canada reached out to Louie Schwartzberg on Twitter about her class’ interest in one of our favorite topics at Moving Art: fungi. We had the pleasure of following Mrs. Fenn’s class as they learned about mushrooms and fundraised to support our upcoming documentary Fantastic Fungi. It was always a highlight of our day when we received an update on how the class was doing! This past week Louie and Mrs. Fenn’s class connected through the power of Skype, where the students asked all sorts of questions about fungi and filmmaking. In turn, we asked Mrs. Fenn to give us a little background on her class, and how these first and second graders got so fascinated by the network living underground. Begin it now.”By any standard for success, Tiffany has accomplished a lot. She has contributed an impressive amount of value to the world, combining film with the web to make and evolve change. She is an Emmy-nominated filmmaker, founder of the Webby Awards, has spoken at multiple TED events, and delivered a commencement speech to UC Berkeley praised as among the best ever by NPR, just to name a few feathers in her signature chapeau. Family is a priority for Shlain, and themes of connection are predominant throughout her work. Both her family and her companies, The Moxie Institute Film Studio and nonprofit Let It Ripple, are based in San Francisco, where she is currently preparing to launch her 3rd annual global event, Character Day. This past Sunday, May 8th was not just Mother’s Day. 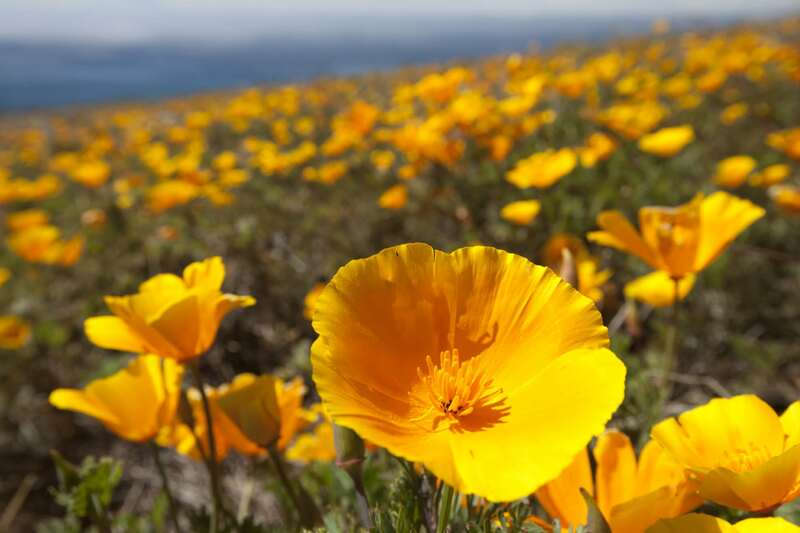 It also marked the end of National Wildflower Week. Louie Schwartzberg’s lengthy career has been dedicated to capturing the beauty of nature using pioneering time-lapse techniques that take us on journeys through time and scale. As beautiful as these images are, they also come with a deeper purpose. 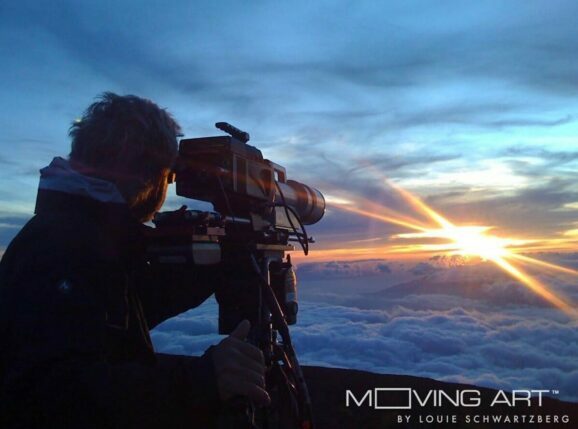 “Beauty is nature’s tool for survival,” Louie is often quoted as saying, “we protect what we love.” He shares his films to encourage audiences to not only see what’s beautiful about the world around us, but to also encourage its protection. This makes last week’s Earth Day and this week’s Arbor Day especially important here at Gratitude Revealed and Moving Art. In honor of Earth Day tomorrow, we have a very special interview for you. We had the pleasure of speaking to Sean Watkins, the social media manager at GreenFaith (a Gratitude Revealed partner! ), an interfaith coalition for the environment that was founded in 1992. If “faith” and “environment” seem like a contradiction of terms to you now, just wait to read how Sean and GreenFaith are correcting that notion. 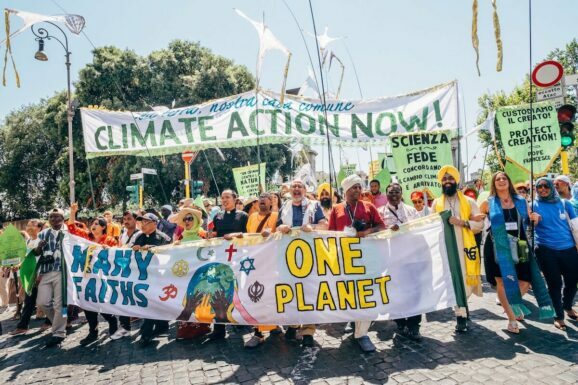 In our conversation, he explains how GreenFaith considers climate change to be a moral issue, and how the organization has brought together people of all religions and spiritualities for this cause. In particular, he tells us about The People’s Pilgrimage, a walk from Rome to Paris prior to the COP 21 climate talks last December. Plus, he connects everything back to a belief we here at GR hold dear to our hearts: gratitude. Norman Lear has had a long and storied (pun intended) career as a writer and producer of American television. His shows, including All in the Family, Sanford and Son, and The Jeffersons, defined the sitcom format. Everyone knows an Archie Bunker. He is a master at making people laugh, but you might be surprised to find that his skill with the witty quip isn’t what has given his career longevity – it’s purpose. Our own Louie Schwartzberg sat down with Norman to talk about how purpose plays a key role in his life. In order to illustrate this, Norman did what he does best – he told a story. If you are unfamiliar with Malynn Utzinger MD, you are in for the sweetest treat. She’s double board certified in Family Medicine and in Integrative and Holistic Medicine, is a certified yoga instructor, and has been exploring alternative medicine for years—working with the likes of Dean Ornish MD, Andrew Weil MD and most recently, Deepak Chopra MD.